There are small scratches on the the of the item. One of the screws was defective. I have ordered the same item from another company and had quality control issues there too. I was hoping for better results. However I will not pay additional money to return it. 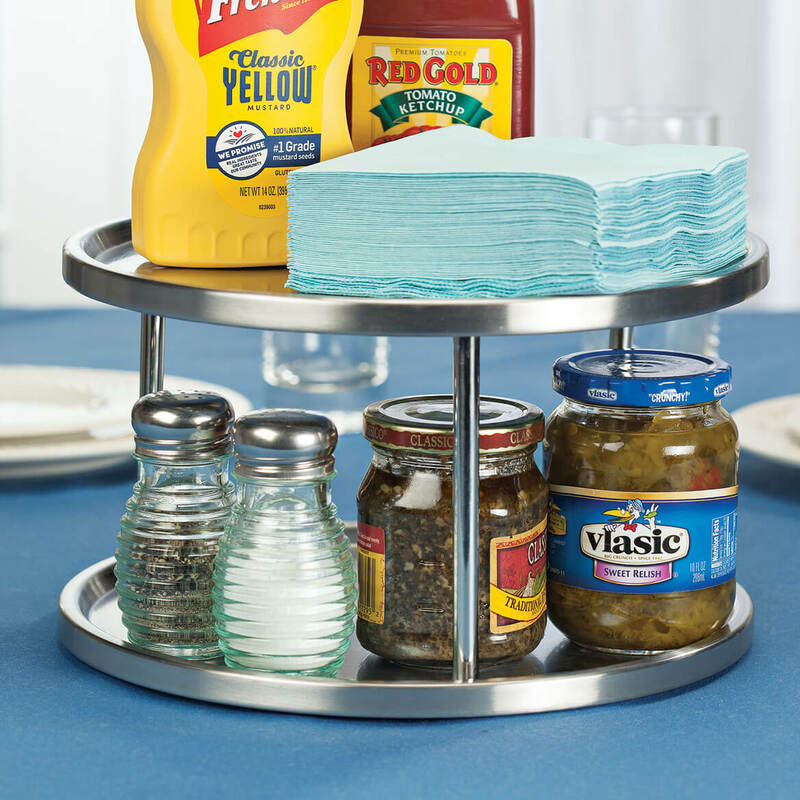 My Mom had one of these in her cabinet for years. 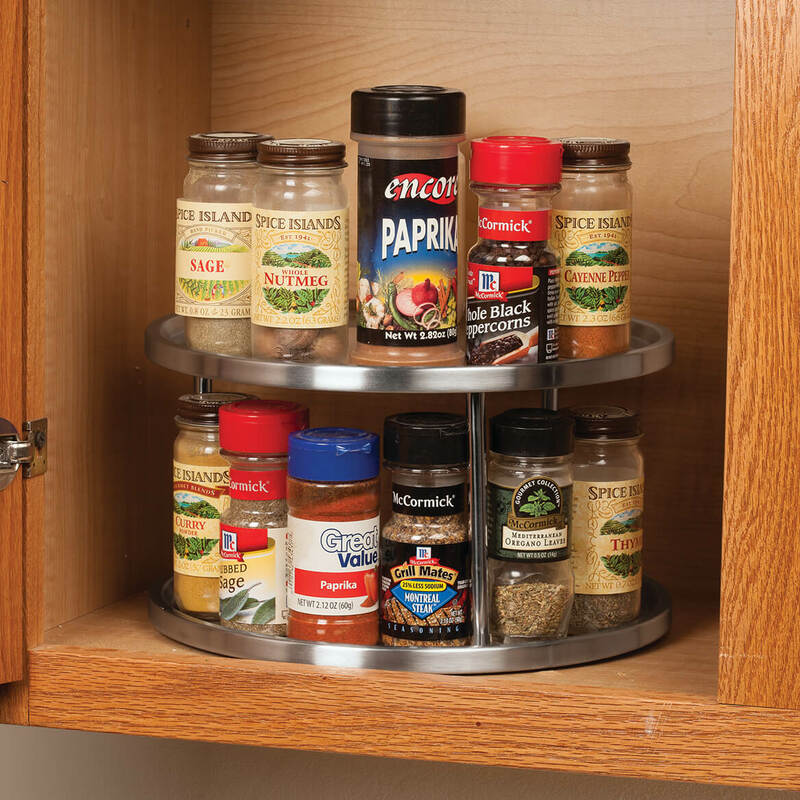 I have been looking for a sturdy lazy Susan like this for my many spices. 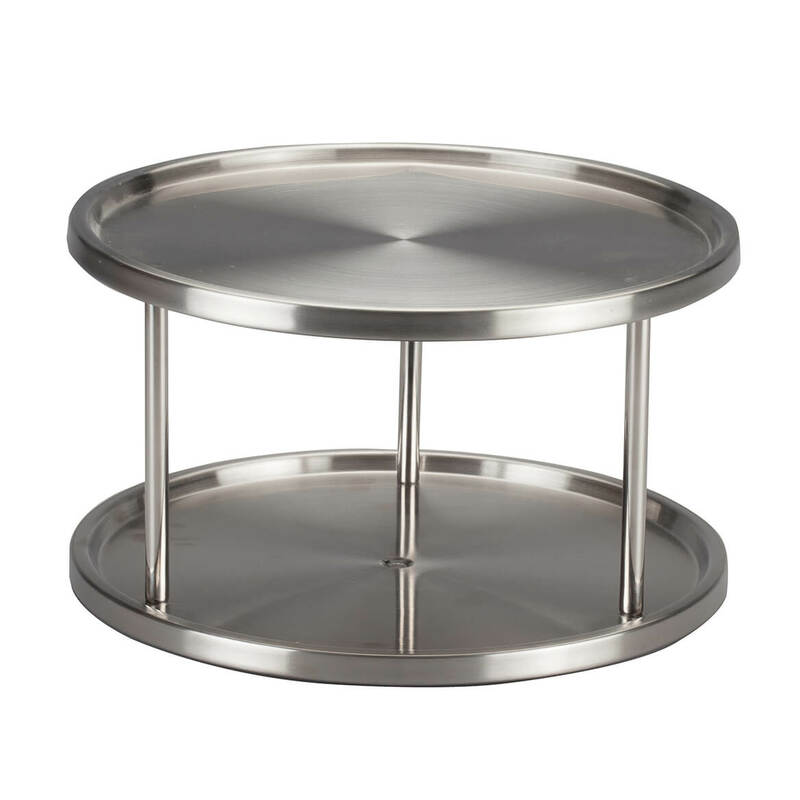 I purchased this item due the fact I only have two drawers in my kitchen. I thought I could put the items I have right now in baking dish. I feel I will be able to see the items much easier when looking for them. Have a plastic one, but this will be stronger & more stable. HOW TALL AND WIDE ? BEST ANSWER: Thank you for your question. It is 10 1/2"dia.x6"H. We hope this information will be of help to you. How many inches between bottom & ceiling of bottom? BEST ANSWER: Thank you for your question. It is 5 1/4" between the the levels. We hope this information will be of help to you.